With our BitCoin investments falling to pieces, thank our lucky stars that one safe bet remains. The Doc’s back with this week’s Pebble Beach Preview and Tips. 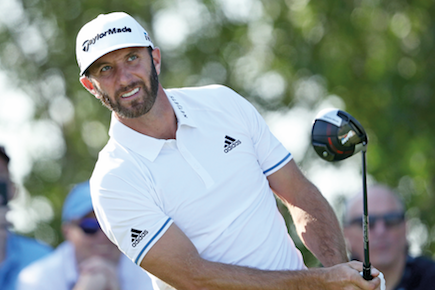 Dustin Johnson is a crazy 6/1 favourite in the betting with the bookies scared witless of him. Twice a winner here in 2009 and 2010 and four top-5’s at the event since, but this also is the site of his most crushing collapse at the 2010 US Open when Gmac won. Jason Day is 11/1 after his Farmers win and has three top-6 finishes from his last five appearances at Pebble. Last year Jordan Spieth dominated but after a MC in Phoenix he’s 12/1. Improving form with a T23 at The Farmers and a T17 in Phoenix last week. Returns to this event for the sixth time having never been out of the top 30 on the final leaderboard. Reed’s natural shot-making talent over the three-course format of this tournament gives him a big advantage. Best of T6 in 2016. You have to take any Phil tip with a pinch of salt but after finishing 65, 66, 69 and putting his way to a T5 at Phoenix, I’d be irresponsible if I left him out. Lefty is a four-time winner of this event, granted, the last one was in 2012 but he absolutely crushed Tiger on that day! Solo second too in 2016 and if he is in the mood this week Phil can and will contend. Chesson looks a little overpriced at 50/1 for me after finding some of his best form again in Phoenix (T5) last week. Started the wraparound season with great aplomb with top-5’s at the Safeway, Sanderson Farms and Shriners and built back up again at La Quinta and Torrey Pines before that score in the desert. Didn’t play Pebble in 2017 but was T10 in this event in both 2014 and 2015. Sneds is a Monterray specialist with wins in this event in 2013 and 2015 and a solo fourth in 2017. In fact four of his 12 PGA Tour wins have come in January and February and if he’s fit is a danger. T23 in Phoenix last week may not excite but Sneds had just four bogeys all week which was a big plus for me. Pat has been coming back to Pebble since 2002 when he finished solo second on his debut and it might have taken some time, but he’s figured out again since 2014 with a T7, T4 and T14 since. Fit again and with renewed confidence after his CIMB win Double P started the year with a T4 at the Tournament of Champions before a T29 in Dubai. Great each way shout. With fairways and greens as his staple diet, James Hahn bags cash wherever he goes. A final round 62 at the Sony Open for a solo second was the highlight of the first quarter of his season and he impressed again in Phoenix (T11) last week. Best of T3 in this event in 2013. Yes Nick Watney! Made a big jump back towards contending with the best with a T26 in Phoenix and loves this event. T6 in 2011, solo second in 2015 and T14 last year. This would be a massive score! Previous articleHave we lost our marbles? Handicap madness rules OK!